Depending on the road construction jobsite the conveyor belt faces volumes up to 1 000 tons of asphalt per hour. Without appropriated maintenance this tremendous materialflow has a major impact on the conveyor belt and leads to wear and asphalt deposits. Thus, this material stress requires an appropriate treatment in order prevent a reduced lifetime of the belt. Furthermore, an unmaintained conveyor belt can impact the paving result negatively. Defects in the asphalt surface require time consuming and cost intensive rework and can be prevented by the use of Belt Guard. 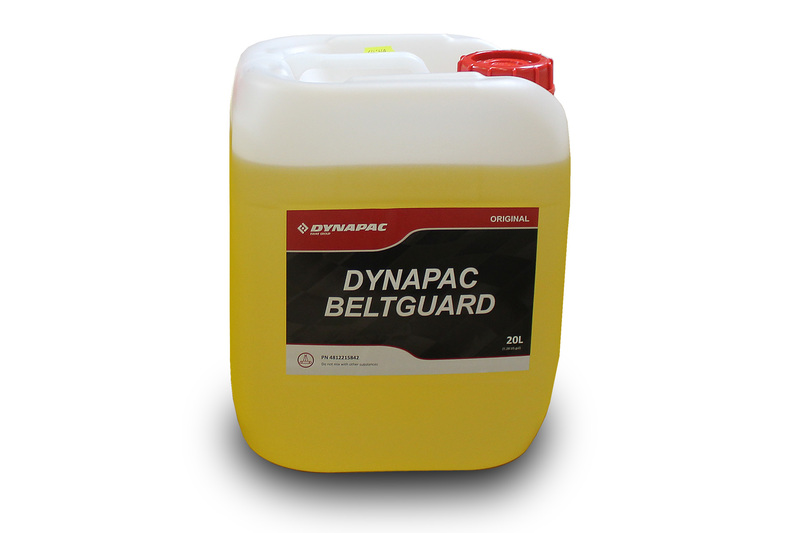 Thus, we recommend to consider regular belt cleaning with Belt Guard as part whole asphalt paving process.